Summer field trips can be a great source of revenue for your skate center, but how do you make them work? Here are some tips for hosting a great field trip this summer (and beyond). Offer fun packages with more than just skating. Other games, craft activities, arcade time, and maybe even some educational activities will break up the day for campers and staff. Of course, you’ll want to offer snack bar packages, but it may help increase bookings to allow field trips to bring their own bagged lunches. Be as flexible as possible while still clearing your expenses, but remember to protect your interests as well. If you offer private field trips, where you close your center to allow groups unlimited use all on their own, a non-refundable deposit will help to protect you against loss in the case of cancellations. Advertise! Reach out to local summer camps and day care centers, connect with parents or homeschool groups, and get the word out about what you’re offering. Nobody will book with you if they don’t know they can! Ensure your staff has the appropriate information and can answer questions when they are asked. Fight summer brain drain by offering educational opportunities. 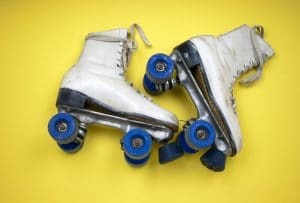 Roller skating lends itself well to STEM field trips, and parents and teachers alike will thank you for getting kids engaged in learning during the school break. Summer should be a big money-making time for your skate center. Don’t leave any potential areas of revenue unexplored. Refresh your novelties for summer and get ready for those field trips!